The only online professional nail art competition is ready for the games to begin. After collecting applications from around the world and settling on challenges with our sponsors, all that was missing were 12 brave competitors who would go head to head January through June for a shot at the title. After back-to-back pre-challenges sponsored by Swarovski Crystals, we are happy to announce the 12 competitors left standing. 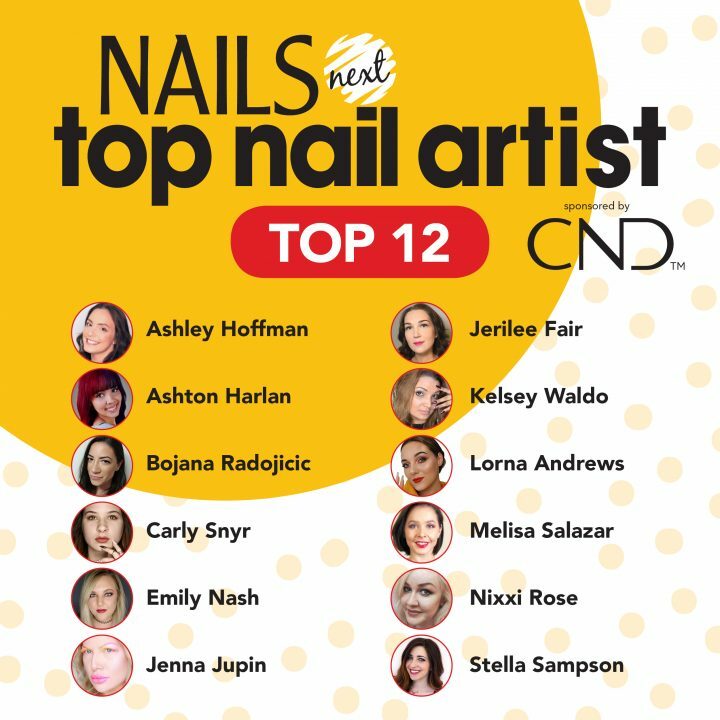 Guest judge Gina Silvestro, NTNA S. 5 champion Valerie Ducharme, CND’s Jan Arnold, and the NAILS staff scrutinized every entry (including artwork, tutorials, and descriptions) to award these 12 spots to the most deserving nail professionals in the world. Join NAILS, CND, Gel II, En Vogue, EzFlow, KUPA, LeChat, Mia Secret, NSI, Orly, Tammy Taylor Nails, and Wildflowers in congratulating our 12 finalists!